Stephanie Keith/Getty ImagesTim Cook, CEO of Apple, stands with Lana Del Rey during a launch event at the Brooklyn Academy of Music on October 30, 2018. Apple unveiled a new iPad Pro at its event in Brooklyn on Tuesday – and a new Apple Pencil stylus to go with it. The new devices fix the worst thing about the previous-generation products: the way the Pencil charged. Now, the Pencil charges wirelessly by snapping onto the top of the iPad. Before, you had to plug it into the iPad’s Lightning port, where it would stick out awkwardly. 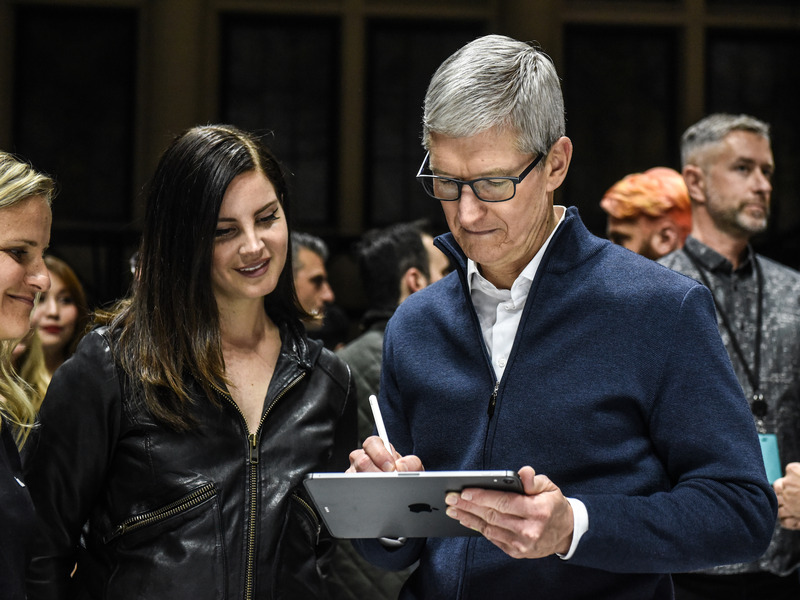 On Tuesday, Apple unveiled a revamped iPad Pro and a brand-new Apple Pencil. In the process, it fixed one of the few bad things about the generation of products that these new ones will replace. The new iPad Pro has an entirely new design, including squared-off edges and a nearly edge-to-edge “liquid retina” display. But perhaps one of the niftiest changes comes in how it charges the Apple Pencil. This is a total change from how the Pencil used to charge. The first-generation Pencil could only charge up one way: by removing the cap on the top and plugging it directly into the Lightning port on your iPad, where it would stick out awkwardly. 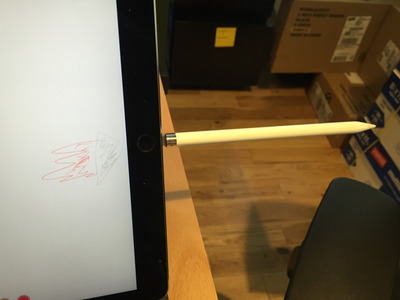 Matt Weinberger/Business InsiderThe first-generation Apple Pencil charging on an iPad. While that charging method was a good idea in theory – you didn’t need a separate charger for your Pencil! – it clearly had some limitations. If you brushed past the device too quickly while it was charging, the Pencil could potentially snap off, breaking the Lightning charger. Or worse, if left on the edge of a table, a little one walking by could have been poked with the pointy end of the Pencil. At the very least, it was incredibly unwieldy, and looked a little silly to boot – not unlike Apple’s Magic Mouse 2, which faces a similar issue. The new second-generation Pencil fixes one more issue: you have to worry less about losing the Pencil anymore. Before, there was no easy way to keep track of the Pencil unless you had a special iPad case, and its totally smooth, cylindrical shape meant it was often at risk for rolling right off your desk. Now that it has one flat edge and it’s magnetized, you can snap it onto your iPad and put the whole thing in your bag. The only downside: the new Pencil is more expensive, and it only works with a few iPads. The Pencil costs $US129, $US30 more than the previous model, and it only works with the new 11-inch and 12.9-inch iPad Pro. What’s different about the new version – beyond a tweak to the design and the wireless charging – is the ability to double tap on the device to change tools or brush sizes in whatever program you’re using, and tap to wake it up. Plus, you can now get your Pencil engraved.